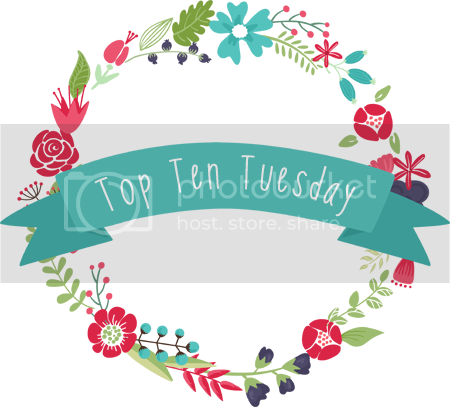 This week’s Top Ten Tuesday topic is the Top Ten Things On My Bookish Bucket List. I have a rather shocking confession to make: I don’t like attending book signings. Not because I don’t love having the opportunity to meet and interact with my favourite authors, however. Oh no! When meeting people for the first time I tend to be shy, anxious, and more than a little awkward. There will inevitably be a lot of hand gestures, ‘Thank You’s and ‘Sorry’s involved. That said there are, and have been, authors I have braved signings for, including Rainbow Rowell, whose signing I attended in Toronto back in October 2013 because of how much Attachments and Fangirl meant to me. In particular, there are three authors for whom I would brave any crowd and stumble over any word to meet: Jessi Kirby, Morgan Matson and Laurie Halse Anderson. As far as I’m aware, none of these authors have ever held a book signing in Canada, but I can assure you that I would be the first in line should this ever happen. Each of these writers is responsible for writing at least one book that has had a significant impact on my life and I would love the opportunity to thank them in person for all their work has meant to me. Sure, I’ll likely stutter, babble, flail about and generally act as though I’ve never been allowed in public before, but I have no doubt it would be well worth the accompanying anxiety and general awkwardness. Just in case this never happens, however: Thank you Jessi, Morgan, and Laurie. Your words are important to me. Your books are important to me. Thank you for sharing your gifts with the world. This choice should be fairly self-explanatory, but I’ve always longed to attend Book Expo America. The idea of being able to spend time with so many like-minded individuals who are all as passionate about books and reading as I am sounds like an absolute dream! Unfortunately my work schedule won’t allow me to attend this year as the law office in which I work is simply too busy for me to take time off, but there’s always next year, right? This is certainly one of my loftier (some might even say impossible) goals. Yes, I want to read one book for each day of the year. No, I’m not certifiably insane. While the largest number of books I’ve read in one year is likely closer to 250, I do believe it’s possible to achieve this goal with a little perseverance and a lot of hard work. This will happen. Someday. Maybe. While this is something I’ve made a concerted effort to strive toward thus far in 2014, I like to think of myself as a perpetual work in progress. There’s always room for improvement, and there are still moments when I grapple with guilt, expectations and pressure, as I loosely outlined in my Hiatus post back in February. I’m a Type-A personality who likes to remain in control and has always placed an undue amount of pressure on herself to be ‘perfect’. As you can imagine, this is a recipe for disaster, particularly when it comes to blogging. I’ve never been one to do things in half measures and I want to do it all. Unfortunately, this simply isn’t possible. When I first began blogging in June 2013, I was unemployed and had all the time in the world to read, review, comment, and schedule posts weeks in advance. As it stands now, I’m working full time and I’m still struggling to find the balance between my 9:00am-5:00pm job, Pop! Goes The Reader, and the rest of my life. There are still times when I feel overwhelmed and stressed, but I’m slowly learning to let go of external pressures and focus instead on the positive and what I am able to control. I’m only one person. I can’t please everyone. All I can do is my best. And that’s okay. Over the course of the last nine months I’ve met a number of book bloggers who I feel blessed to now be able to call friends, including (but not limited to!) Jamie at The Perpetual Page-Turner, Ginger at GReads!, Estelle & Magan at Rather Be Reading, Hannah at So Obsessed With, and Ashley at YAdult Review. These are the people I speak to on a semi-regular, if not daily, basis, who I’ve turned to when I’ve had a problem or simply needed to talk, and their friendship and support has meant more to me than I could ever possibly hope to express. I can’t tell you how much I would love to be able to meet each and every blogger I’ve befriended since I began blogging, even if it were only to chat for an hour or two over a few drinks. Unfortunately, geography is a cruel and fickle mistress and there are days when it feels as though meeting these friends I’ve made might never be possible. I’m determined to remain hopeful, though. So, what do you say, girls? Blogger party? I’ll bring the Timbits! This is a rather silly, superficial item because I’m a silly, superficial person. Just kidding! In all seriousness, this goal isn’t terribly important to me, although there is something pleasant about such a strong, round number. All this being said, I’ve never been terribly concerned with my Pop! Goes The Reader’s ‘numbers’, whether it be on Twitter, WordPress, Goodreads, etc. Whatever will be will be. But boy does 1,000 ever sound neat! For those of you who don’t know, I’m an aspiring author who has been writing creatively throughout my life with varying degrees of success. While ideally I would like to write with any eye to publication, even if this were never to happen, I would simply like to complete one of my current works in progress, if only to prove to myself that it is, in fact, possible. I’ve always been my own worst enemy and harshest critic, particularly when it comes to my writing, and in the past have allowed self doubt and insecurity to dictate what I do (and do not do) in my life. I have also struggled with the loss of passion once the initial excitement and thrill of a new project has worn off, and while logically I know this isn’t necessarily true, have equated this with my project not being ‘worthy’ of continuation. I currently have two manuscripts sitting at between 50,000 and 60,000 words and I would like to complete them, not with an eye to querying or publication, but for myself. Because I can. Because I will. Whether it be one week, one month, or one year down the road. This final item is admittedly the most eccentric and strange one on my bucket list. You see, I would eventually like to write one review for each letter in my Review Archive. Why? I honestly have no idea! While I cannot pinpoint exactly why this is so important to me, this is something that has always nagged at me and I think might also prove an interesting challenge. Given that my review archive is sorted alphabetically by author surname, I expect I’ll run into trouble with a few of the trickier letters (X, Y, Z, etc) but who doesn’t love a challenge? I think you’ve got some great goals to work towards. I have a lot of time for my blog at the moment as I only work in the mornings, but in September, I’m going to University full time and I think my blog will suffer. Like you, I’m going to have to try and find a balance between the blog and the university work. It’s a difficult transition to make, but a little practice and stricter time management has certainly helped me find a better balance in my life. That said, I’m far from perfect and still have a lot to learn! I’ve only been blogging for nine months, and there are still times when I struggle to write a review each week or find the time to post as often as I would ideally like. Best of luck with university and finding what works best for you re: maintaining a positive blogging balance! Thanks, Angelique! It seems to be a common goal amongst book bloggers, although few seemed to have cracked the code or completed it yet. Oh, I love your list! The alphabet review challenge would be really fun to see 🙂 I wonder what book would start with xyz…hm. Balance is definitely one I need to work on as well! I totally understand the last one! Sometimes it makes me crazy that there are no X or Z books and the letters are just sitting there, unused. Congratulations, Sarah! What a monumental accomplishment 😀 I can only hope I’ll be half as successful with my own goal someday. I have a rule that I won’t begin reading a new book until I’ve finished reviewing the last one I read. 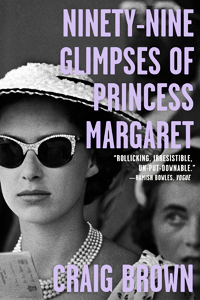 Of course, that presents it’s own unique set of challenges – I don’t always strictly adhere to this self-imposed rule, and I’ve been known to go more than a week without beginning a new book because I’ve become stalled over a difficult review. Ultimately, I think it’s about finding what works best for you 🙂 Blogging is definitely a learning process and having only done so for nine months, I still feel as though I have a lot left to learn! Your last one made me laugh because it is something M is SO crazy about. (In a cute way.) We still have not succeeded. MAYBE THIS WILL BE THE YEAR. I definitely share no. 8 with you! I just think it’d be terribly sad for me to see X never filled with a review. I think I’d read a book that starts with X just so I can write a review for it and call it doen! If you read 365 books in a year, I will be thoroughly impressed. Although I’m impressed by anyone who even gets to 100 in a year. That’s my goal–to read 100 one year! Distance and travel expenses are definitely two of the most prohibitive barriers to attending all the book-related events I would otherwise love to participate in. Very few are held in Canada and between the cost of flights, accommodations, and having to take time off work, I have a feeling I’ll have to be patient when it comes to fulfilling that particular bucket list item. 365 books in a year would be EPIC! You. My brother. My heart. I’m not just saying this because you mentioned me (which still shocks me. I’m always like “aww people remember me!”) You’re a good person. I don’t tell you that enough. Question: Why does WordPress not have a heart-related emoticon? Do they not know I require at least one to reply to any and all of your comments? I guess you’ll just have to imagine me with hearts in my eyes. P.S. Right back at you, Hun. You’re such a sweetheart and I don’t think I tell you that often enough. WOW! 365 books in a year is ambitious! Good luck! I love how this is a Top Ten Tuesday. You may want to link up to the original Bookish Bucket List, too!